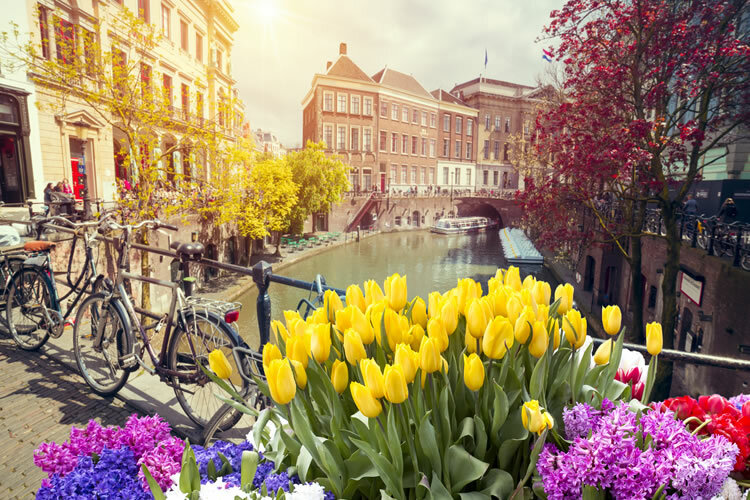 Cruise three European rivers in one unique holiday starting in Amsterdam and finishing in Arles. Explore river life, scenic towns and historic cities on your European adventure. Fly from the UK to the canal-strewn city of Amsterdam. On arrival, you will be met and transferred to your ship. Enjoy some time to settle in before getting to know your fellow travellers and APT Cruise Director at a Welcome Reception. FREEDOM OF CHOICE: Perhaps embark on a canal cruise and admire the city from a glass-top boat. You may prefer to visit Zaanse Schans, a village famous for its wooden windmills, traditional Dutch houses and specialty produce. Alternatively, enjoy a stroopwafel presentation onboard. Tonight, enjoy a delicious Gala Welcome Dinner. FREEDOM OF CHOICE: Enter Germany and cruise into Cologne. Choose to take a guided bike ride, or sample local beer and snacks on a walking tour. SIGNATURE EXPERIENCE: Later, rejoin your ship in Bonn and cruise to Andernach for an exclusive visit to Namedy Castle, exploring the grounds before dinner and a classical piano recital. FREEDOM OF CHOICE - Arrive in Cochem and set off on a walking tour or guided bicycle ride. Back on board, enjoy the scenery as you cruise through the Moselle Valley. FREEDOM OF CHOICE - Dock in Rüdesheim and take a tour of Siegfried’s Mechanical Musical Instrument Museum, home to the world’s most beautiful collection of fascinating automated musical instruments. Alternatively, sample wines from the Rhine Valley during a tasting onboard or glide over the Rhine Valley in a gondola. SIGNATURE EXPERIENCE - This afternoon, be greeted by locals and learn about their culture and day-to-day lives as you are welcomed into their homes for afternoon tea. FREEDOM OF CHOICE - Cruise into Breisach where three sightseeing options await. Visit Triberg and the Black Forest Open-Air Museum. Or, travel to Colmar on the Alsatian Wine Route for a tour and tasting, or embark on a bike tour. Disembark your river ship in Basel and travel by coach to Lyon. En route, enjoy lunch at your leisure on the shores of Lake Geneva. Arrive in Lyon to board your next river ship. FREEDOM OF CHOICE - Today, perhaps choose to tour Lyon then visit a silk workshop. Otherwise, tempt your taste buds with a culinary tour as you explore Lyon’s most famous fresh food market or take a guided bike ride. SIGNATURE EXPERIENCE - Tonight, dine at L’Abbaye de Collonges. FREEDOM OF CHOICE - Perhaps explore The Dombes and visit a farm, then stop in Châtillon-sur-Chalaronne. Alternatively, travel to Oingt, then partake in a wine tasting at a family-owned winery. Cruise to Vienne for some time at leisure. FREEDOM OF CHOICE - Hike up to Eden Park Garden, ride the Ardèche steam train, or enjoy an onboard chocolate demonstration. Later, continue to Viviers. Join a truffle farmer and his dogs to head out in search of the rare delicacy. SIGNATURE EXPERIENCE - Later, enjoy a Cocktail Reception at Grignan Castle. FREEDOM OF CHOICE: Visit the Palace of the Popes. Later, see the Pont du Gard, play a round of golf or enjoy a French language lesson on board. FREEDOM OF CHOICE - Tour the castle ruins in Les Baux-de-Provence then visit an olive mill. Alternatively, enjoy a hike in Camargue National Reserve, or visit a ‘savon de Marseille’ soap factory. Enjoy the Captain’s Farewell Dinner. Transfer to Marseille airport for your flight back to the UK.